Explore Different Types of Flowering Plants. 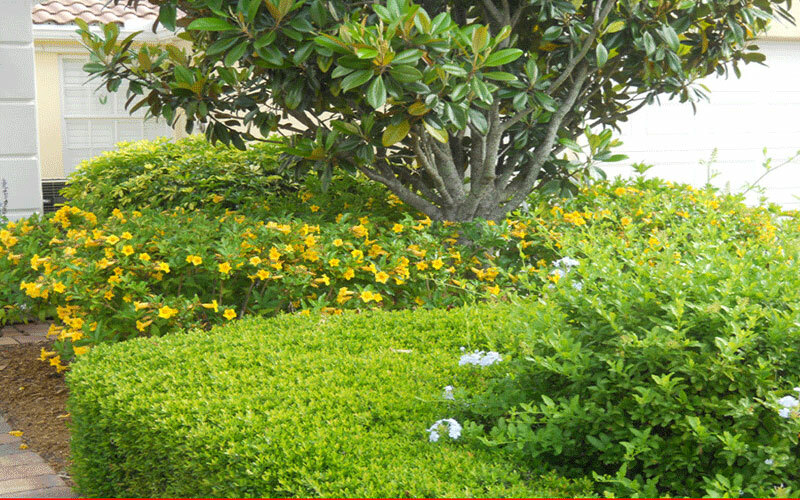 Watering correctly is the key to keeping these small flowering shrubs at their best. They need regular irrigation but must dry out a bit in between watering. 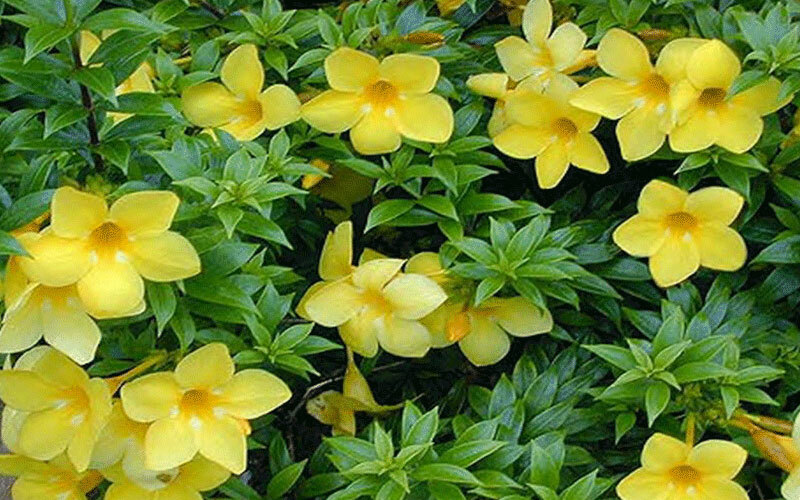 With exquisite butter-yellow flowers over glossy deep green foliage, they can work as a front-of-the-border plants or use them behind annuals, groundcovers or small perennials. 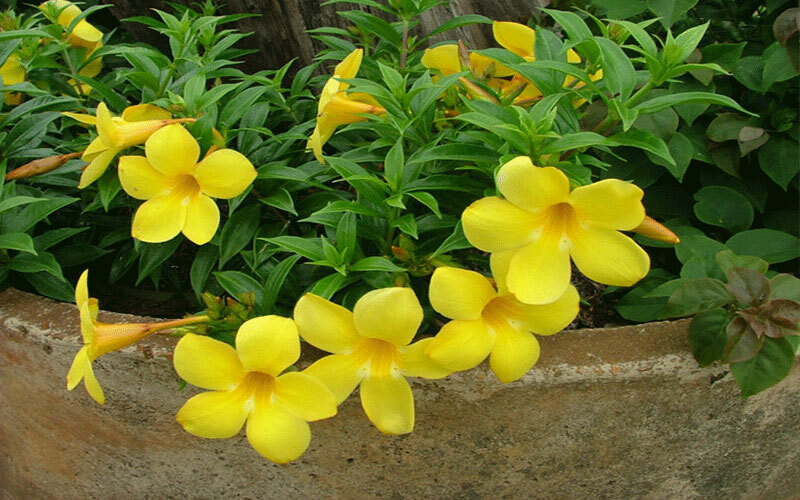 Dwarf Allamandas grow at a moderate rate and you can easily keep them 2 to 2-1/2 feet tall. Plant in a full to partial sun location to get the most bloom. The clusters of golden trumpet-shaped blossoms appear on and off most of the year - more during warmer weather. The plant will grow too large eventually to work as a foundation shrub, but other than that, it's one of the most versatile yellow flowering shrubs for any sunny spot. Its size and color make it an ideal accent, hedge or single specimen for the yard even a not-too-tall privacy screen around the lanai or pool cage. Equally at home in formal landscaping or a more casual setting, all this pretty shrub requires to keep it neat and tidy is an occasional trimming to bring out its naturally elegant form. These plants tend to become bare at the base when they're more mature. 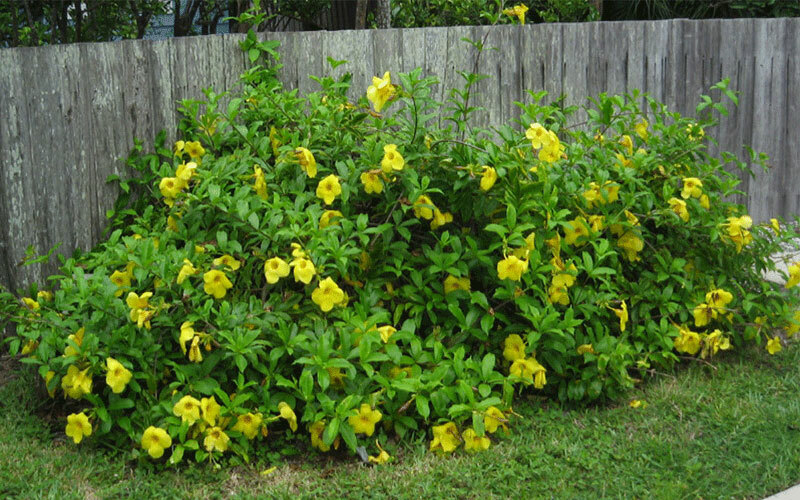 If you dislike that look, grow small plants around the Allamanda to cover up the trunk. You can keep them trimmed at 3 feet while young and then 4 or 5 feet tall once they're mature. Plant in spring, summer, or fall, spacing plants 3 to 6 feet apart. Dig a hole only as deep as the root ball and 2 to 3 times as wide. If your soil is in very poor condition, amend the soil you've removed from the hole with a small amount of compost. Otherwise don't amend it at all.